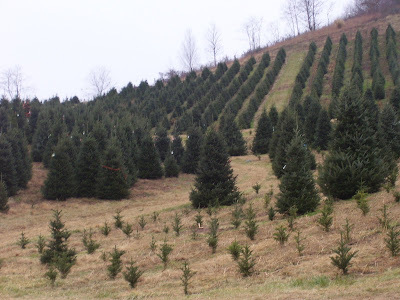 On the way home from Charlotte, we rekindled a sweet memory of my childhood and visited a Christmas tree farm. Having grown up with an uncle who had trees on his farm that we sometimes cut, this was just yummy! 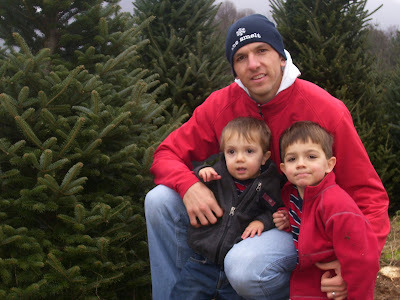 This was Chad and the boys first time and we all had a blast. 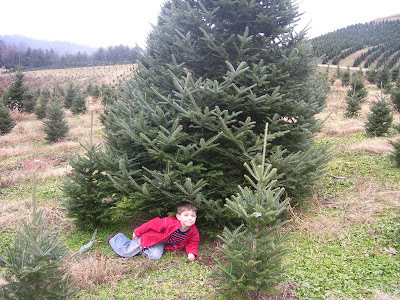 Since having moved out of NC, we either had not put up a tree, because we were always gone during the holidays, or put up our 4 foot artifical tree which seems to be getting smaller and smaller each year. 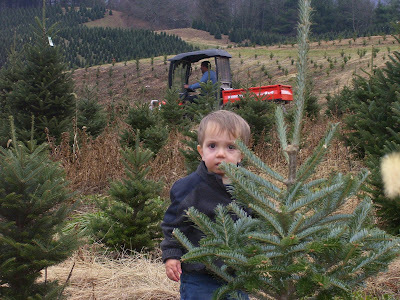 ha Plus, at this farm we could cut a Frasier Fir, my favorite. 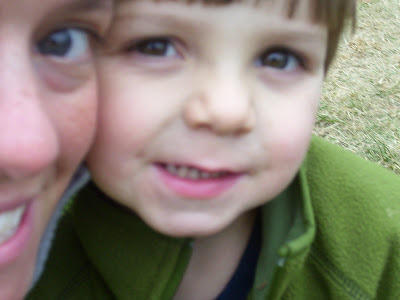 The boys loved the hunt, the adventure of hiking the mtn. and the fun of rolling down the hills. Yes, Chad included! Did I say we have 3 or 4 boys? 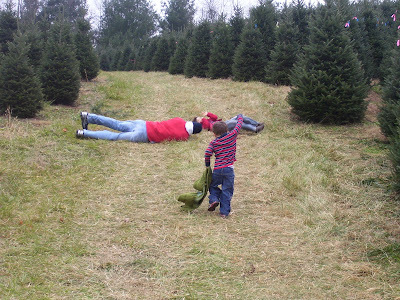 I truly do love his playfulness with the boys :-) So there's to our perfect tree.